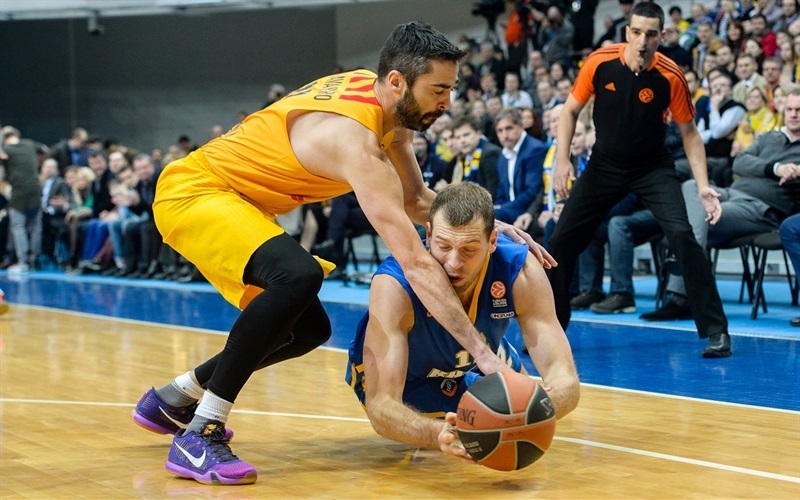 Khimki Moscow Region snapped its three-game losing streak in Group F by downing FC Barcelona Lassa 75-61 in the Russian capital on Thursday. 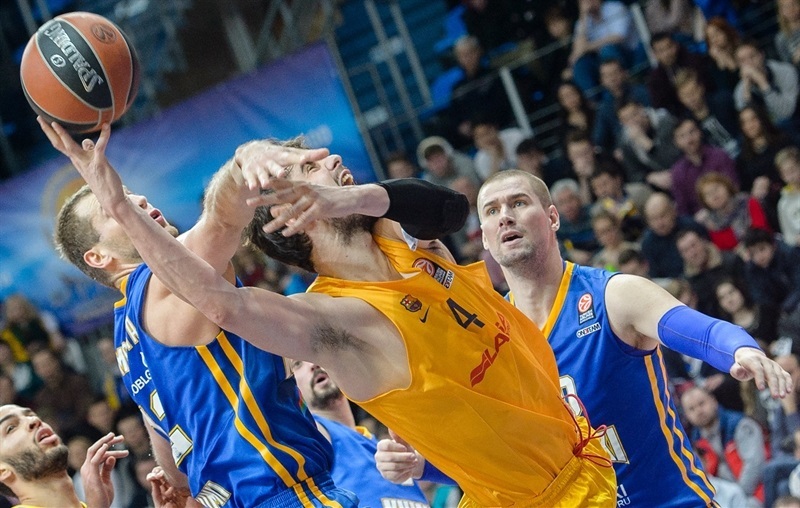 Khimki improved to 5-4 in Group F, while Barcelona dropped to 4-5. Alexey Shved led the winners with 16 points, James Augustine and Paul Davis each scored 13 points and Tyler Honeycutt tallied 11 points and 10 rebounds for Khimki. Justin Doellman led Barcelona with 14 points. 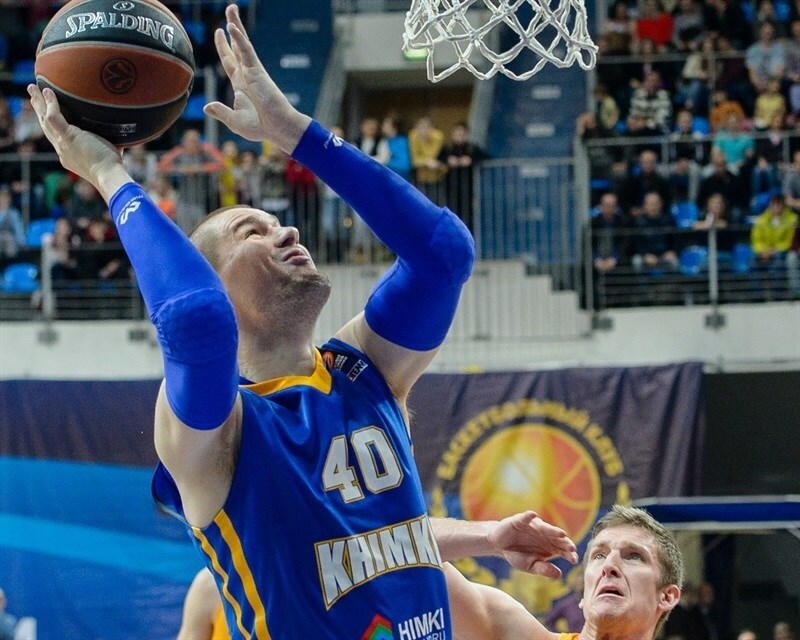 Augustine shined early and a three-pointer by Sergey Monya gave Khimki a 16-7 lead. Free throws by Zoran Dragic make it a double-digit game, 24-14, after 10 minutes. 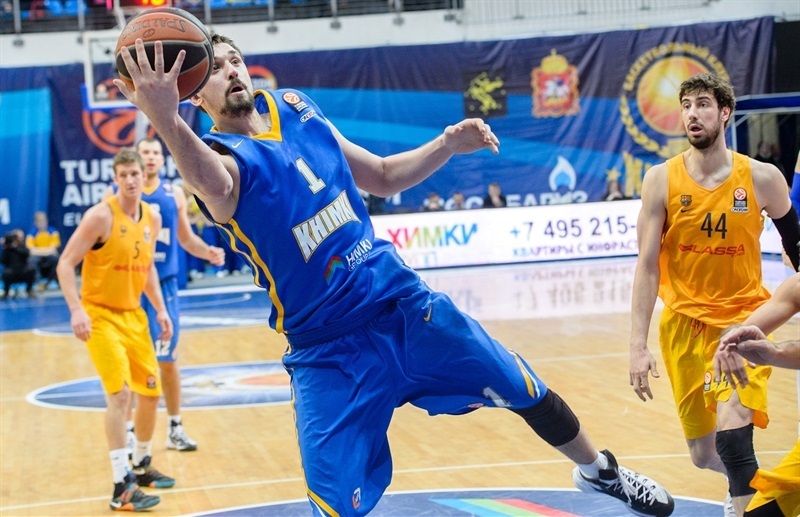 Shved and Augustine kept pacing Khimki as the difference grew to 41-22 and settled at 48-39 at the break. An off-balance jump hook by Davis gave Khimki its biggest lead, 56-33. Barcelona got within 61-43 at the end of the third quarter and a three-pointer by Doellman brought the visitors as close as 69-58, which proved to be enough for to at least keep the potential tie-break advantage. James Augustine got Khimki going with a jump hook, which Justin Doellman bettered with a three-pointer for a Barcelona lead. Tyrese Rice beat the shot clock with a mid-range jumper, which Alexey Shved followed with a driving layup. 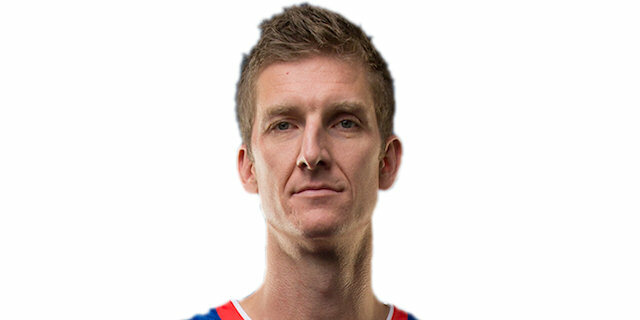 Ante Tomic banked in a jump hook and free throws by Doellman restored a 6-7 Barcelona edge. Augustine scored again and a corner triple by Honeycutt boosted the hosts' margin to 11-7. Honeycutt finished a great team play with a driving layup and Sergey Monya nailed a three-pointer off a screen to give Khimki a 9-point margin. 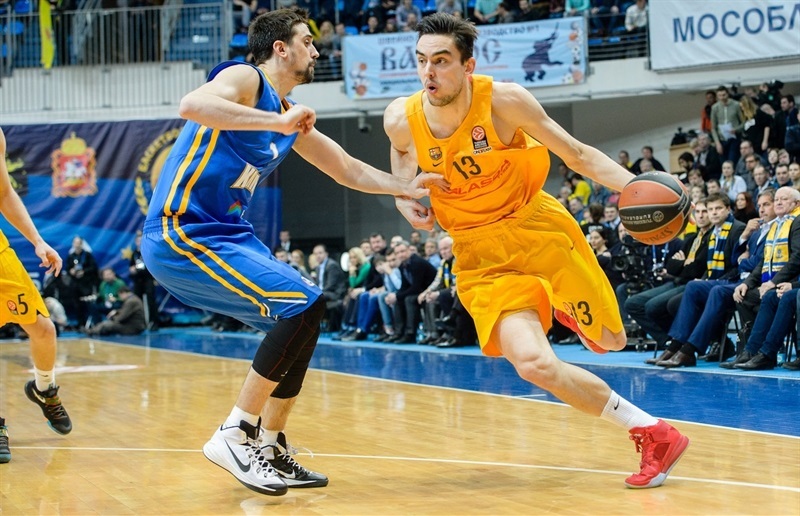 Pau Ribas hit a close jumper and Tomas Satoransky found Joey Dorsey for a slam that brought Barcelona within 16-11. Zoran Dragic scored around the basket and Honeycutt took charge with a fast break slam, which prompted Barcelona call timeout at 20-11. Paul Davis shined with a big basket and Dragic made free throws. A three-pointer by Stratos Perperoglou made it 24-14 after 10 minutes. Both teams struggled to score until Rice took over with a floating jumper. Shved stepped up with a second-chance basket, which doubled up Barcelona at 28-14. Samardo Samuels tried to change things with a layup and Carlos Arroyo matched Augustine's driving basket with a mid-range jumper. 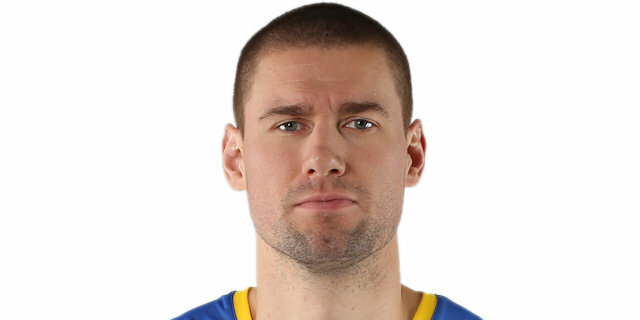 However, Petteri Koponen nailed a mid-range jumper, which Shved followed with a fast break layup for a 34-18 Khimki lead. Monya ignited the crowd with a corner triple, which caused Barcelona to call a much-needed timeout at 37-18. After Satoransky scored around the basket, Shved and Perperoglou exchanged free throws. A layup by Augustine put Khimki ahead 41-22. Doellman found space for a wide-open triple but Augustine and Davis boosted Khimki's lead to 45-25. Rice collected a steal and fed Honeycutt for a wild alle-yoop slam, which Perperoglou matched with a six-meter jumper. Free throws by Rice and Navarro fixed the halftime score at 48-29. Barcelona kept struggling to score against the hosts' physical defense. Satoransky hit a stop-and-pop jumper, which Monya erased with a layup. 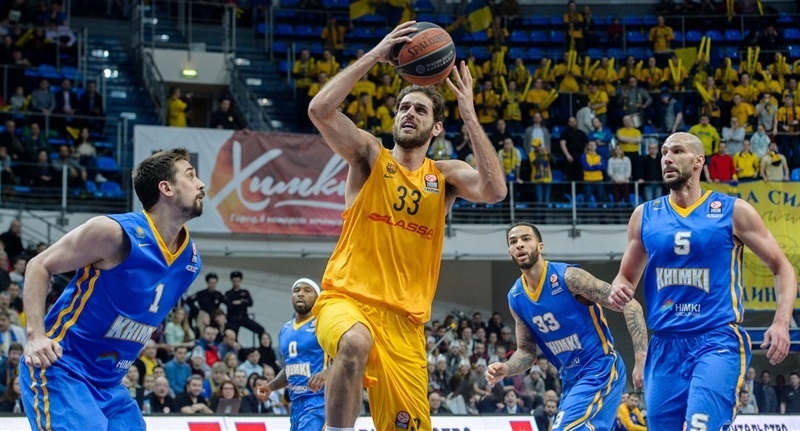 Ribas shined with a layup off a steal and Khimki started to miss open shots. The hosts called timeout and Shved stepped up with a driving layup for a 54-33 lead. Davis took over with an off-balance jump hook that Tomic improved on with an acrobatic three-point play. Doellman struck from downtown and free throws by Navarro brought Barcelona a bit closer, 56-41. Davis scored down low, as Khimki tried a stronger frontcourt with him and Augustine together on court. Navarro hit more foul shots, which Dragic bettered with a corner three-pointer for a 61-43 cushion. Samuels made free throws early in the quarter and a backdoor layup by Satoransky gave Barcelona hope at 61-47. 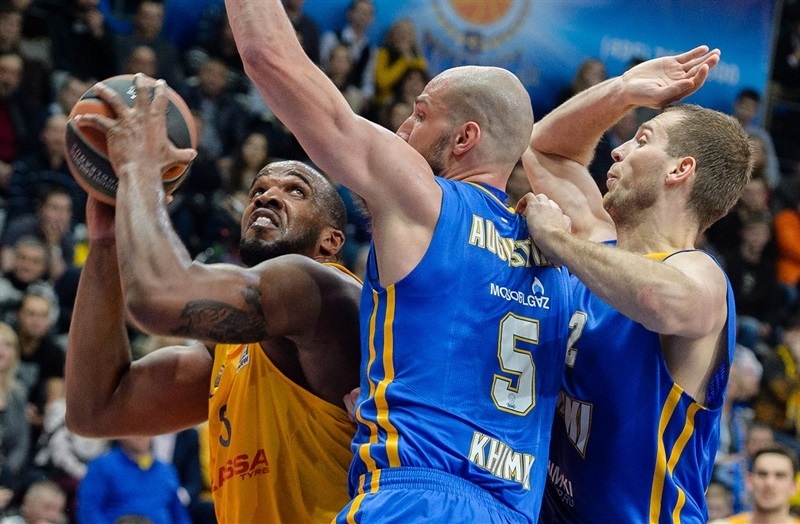 Augustine scored around the basket and Shved added free throws to keep Khimki out of trouble. Samuels kept pushing Barcelona with a three-point play and an off-balance layup for a 65-52 score. Shved nailed a mid-range jumper and a free throw by Davis essentially sealed the outcome at 68-52 with 6 minutes left. Another key battle started, as both teams battled for the potential tie-break advantage, since Barcelona won by 17 points at Palau Blaugrana. Arroyo hit a triple and Doellman also struck from downtown to make it 69-58. 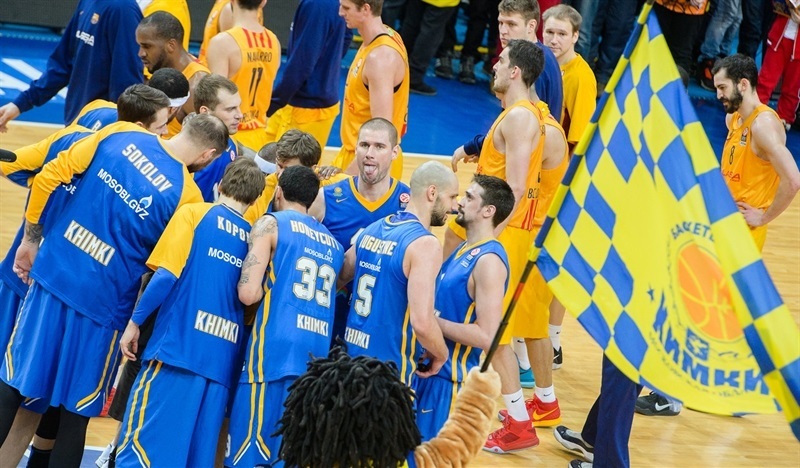 Honeycutt shined with an alley-oop layup and another basket by Davis gave Khimki a 73-58 edge. 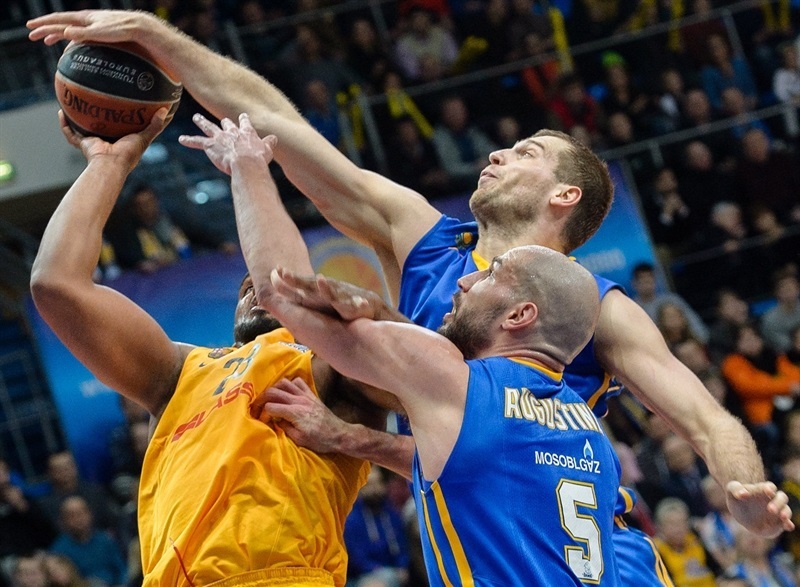 Ribas nailed a mid-range jumper and even though Barcelona saved the tie-break advantage, a huge dunk by Shved allowed Khimki to seal the win in style. “First, I’m very happy we got this win because last month was really terrible for us. 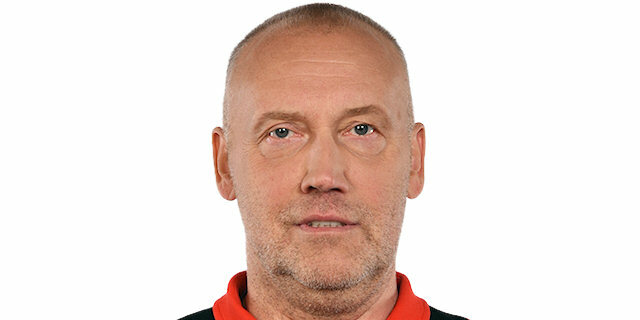 We lost in the Euroleague and in the VTB League. It was very important to win tonight because at the moment we have a priority to play in the Euroleague and are focusing more on this tournament. First we look how to win and then with a good points difference. In the end of the game, we had some difficulties with it, but anyway a win is a win and I’m happy about it. The second thing I want to talk about is perfect defense. I think it was one of our best defenses this season. We played really tough from first to the last minute and let such a good team like Barcelona scored only 61 points. It’s a good result."